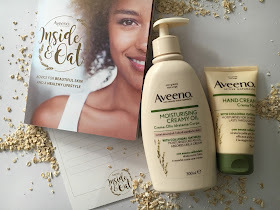 This week I’m taking part in a holistic Inside & Oat AVEENO® skincare and lifestyle challenge*. 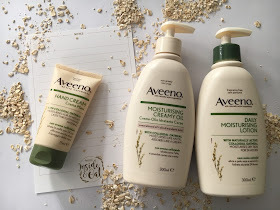 For the next seven days, I will be using AVEENO skincare products as part of a daily skincare plan and I’ll be reviewing the effects to see if I see an improvement in my skin. AVEENO® have partnered with Dr Shetalo Rajpopat and alkaline chef Natasha Corrett of Honestly Healthy to develop bespoke healthy skincare and lifestyle plans. In addition to testing the skincare products, I have been given some exercises to do and new healthy plant-based recipes to cook. I will be reporting back to see if or how they helped to contribute towards feeling healthier both inside and out as a result of the challenge. AVEENO® believe healthy, beautiful skin is a reflection of inner health and daily moisturisation. Wellbeing for skin is our main purpose, and their philosophy is that looking after your body on the inside, as well as the outside, is fundamental in achieving and maintaining healthy, beautiful skin every day. 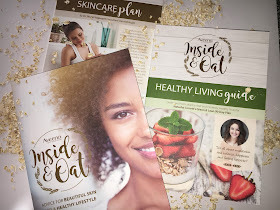 I tend to suffer with dry, dehydrated skin in the winter months or cold weather, so I’m looking forward to testing the products as I have read about Oats being amazing for skin health and for those that suffer with Eczema prone skin. I’m most excited to try their mosturising creamy oil – which contains naturally active oatmeal and sweet almond oil and promises to moisturise like an oil but non greasy and absorbs like a cream which sounds fantastic! The AVEENO® brand unlocks the benefits of oats in skincare. 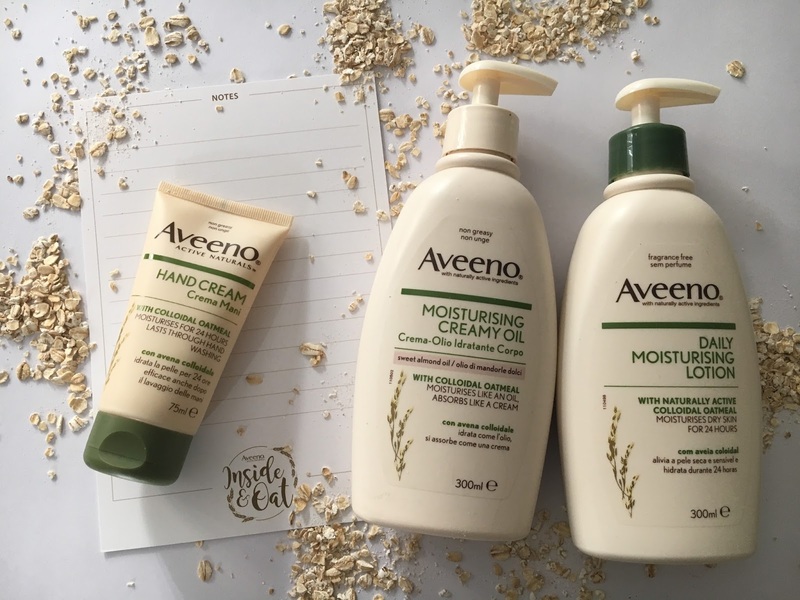 Containing naturally active ingredients, AVEENO® products are specially formulated to gently cleanse and moisturise dry, sensitive and irritated skin. The moisturising products are fast absorbing, non-greasy and provide moisture for 24 hours.